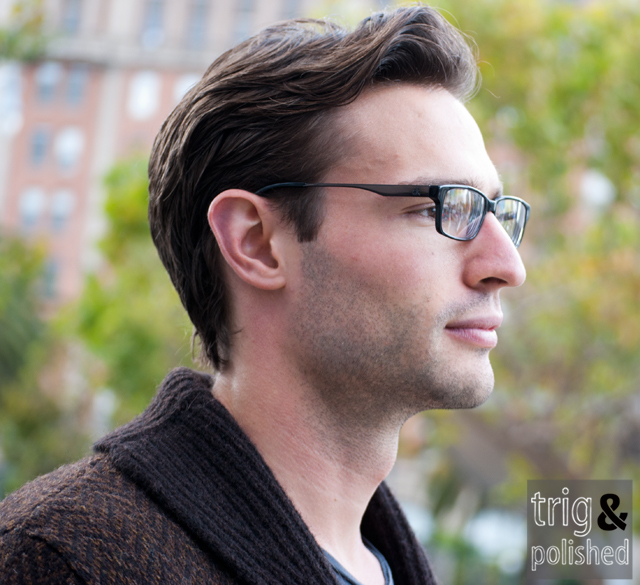 On a gorgeous Saturday morning, we headed to the Ferry Building Farmers Market to do some trig spotting. I told Gillian, “There’s one!” as I spotted those elbow patches peeking through the rear view of the crowd ahead of us. 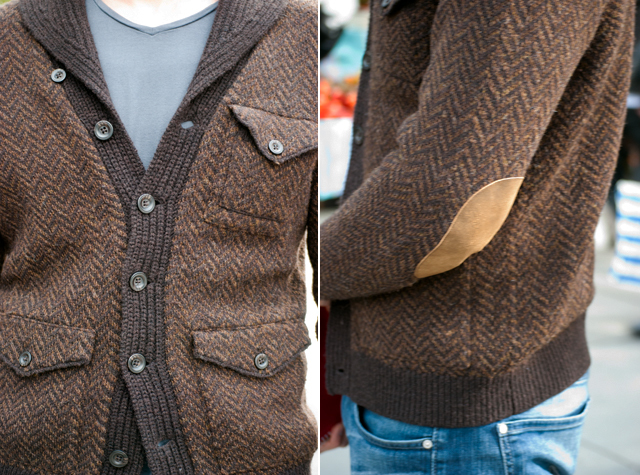 Then I saw the awesome herringbone wool shawl-neck cardigan that the elbow patches were attached to and that’s how Peter came to be featured on Trig & Polished. Peter perfects the casual Saturday look. Denim dressed up with a gorgeous cardigan, nicely combed hair, handsome eyeglasses, some comfortable loafers and he’s good to go. ← You either have or haven’t got Style. He’s like a casual J Crew ad. Love it.